Connecting the World: Where's the Latte at Sochi? Where's the Latte at Sochi? We all know that food matters when we travel. We sometime wish not for the new treats we discover but for some food from home. Olympic athletes don’t have to worry. Whether they want udon noodles, porridge or pepperoni pizza they can find it in the dining halls. An ABC article estimates that there will be 2,000 unique dishes served. Looking for a taste of the host country? Visitors can try borscht the traditional soup made of potatoes, beef and beets. It’s predicted that 70,000 gallons will be served. Even with the variety of foods available, including Big Macs from two 24 hour McDonalds, one thing most people won’t be able to find is a Starbuck’s Latte – or any other drink served in a cup with the green mermaid on it. That is unless you can get into the NBC Broadcasting Center. If you can enter you’ll find a hidden, private Starbucks serving everything except plain coffee. Want a cup of black coffee – head to McDonald’s an official Olympics sponsor (which Starbucks is not) allowed to serve food and beverage. 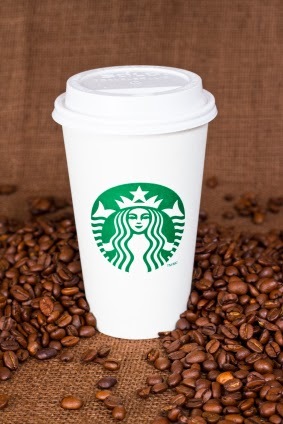 The existence of the not-too-secret Starbucks was revealed in an article in the February 15-16, Wall Street Journal. “It’s good for morale” someone from NBC stated. Food and now we can, drinks, from home are a special treat when you’re far away.